द जोकर. 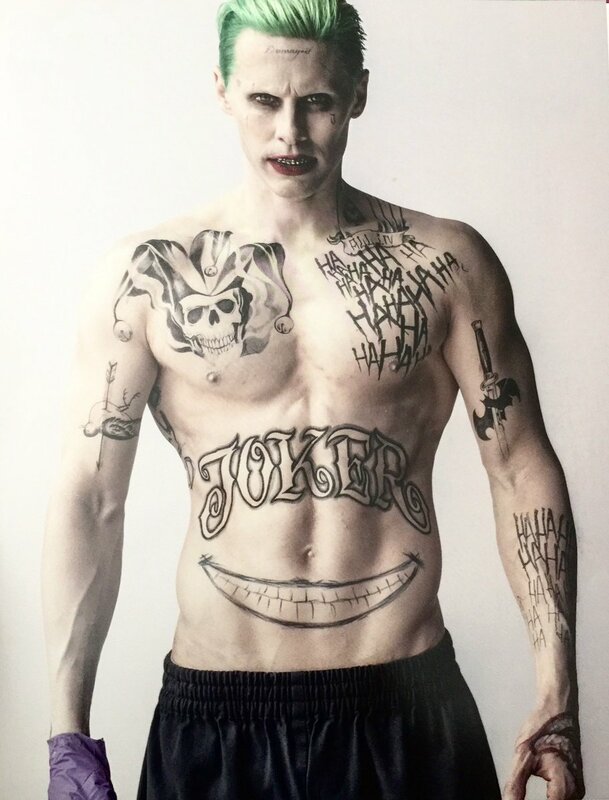 Jared Leto as The Joker in Suicide Squad (2016). HD Wallpaper and background images in the Suicide Squad club tagged: photo suicide squad movie 2016 promotional jared leto joker. This Suicide Squad photo might contain छह पैक, पेट, एबी दरार, सपाट पेट, पेटी पेट, छह पैक abs, कूबड़ा, हंक, त्वचा, skintone, नंगा रंग, आंशिक तन, निहित नग्नता, स्कंटोन, नग्न रंग, आंशिक नग्नता, and अव्यक्त नग्नता.